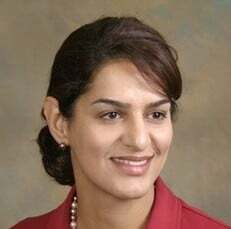 Dr. Maryam Zarei received her medical degree from Medical College of Pennsylvania in 1996. She then completed her Pediatrics Residency at University of California at Irvine School of Medicine in 1999 and later served an Allergy & Immunology Fellowship at Kaiser Hospital, Los Angeles in 2001. Dr. Zarei specializes in Allergies and Immunology for adults and children. Her practice provides a full range of allergy services offering innovative technology to treat and track progress of her patients. Dr. Maryam Zarei is certified by the American Board of Allergy and Immunology and the American Board of Pediatrics. She is also a fellow of the American Academy of Allergy, Asthma, and Immunology. Dr. Zarei speaks English, Farsi, and Spanish.